Further enhance your knowledge and skills! The beginner’s flight will provide you with much needed information to help your salon grow and succeed. Learn more about the tanning industry! The Beginner Flight allows you to become even more educated and informed about important tanning topics. To further enhance your knowledge and skills, Sun is Life offers additional training. We offer easy to follow online courses, offered in brief 15-minute modules. Start with the beginner’s flight and work up to the advanced flight. The Beginner Flight training program will help any employee learn more about the tanning industry. With the basic salon operator training certificate under your belt, the beginner flight allows you to become even more educated and informed about important tanning topics. Whether you are a new employee just starting out, or a seasoned professional with years of experience, the beginner’s flight will provide you with much needed information to help your salon grow and succeed. Sun is life … literally. So, get the facts of life. Learn about the different types of UV light, and discover why indoor tanning offers more control of the variables that can’t be controlled when tanning outdoors. There are important differences between UVA, UVB and UVC light. Knowing these differences is key to understanding how salon UV systems work, and providing accurate info when guests have basic questions about exposure to UV light. Talk to guests about the positive effects of sunlight. Explain the differences between UVA, UVB & UVC. Explain why indoor tanning provides more control of UV exposure than tanning outdoors. Apply the Guest Experience Principle: Educate to Engage each Guest. As a tanning professional, it’s vital that you understand how the skin responds to UV and are familiar with common situations and skin conditions. While the tanning process is the same for each person, each will respond differently to UV exposure, depending on individual tanning factors, as well as the length and intensity of exposure. When the skin is exposed to UV, the body has both a chemical and physical response. By understanding these effects and being aware of special circumstances, you’ll be able to better educate and serve your guests as they make their personal tanning choices. Discuss erythema (sunburn), one of the most obvious signs of UV overexposure. Cite common skin conditions that may result from UV exposure. Apply the Guest Experience Principle: Observe Guest Behavior. This review on skin anatomy will help you learn the various components of the skin, understand the tanning process, and why a tan can fade over time. When exposed to UV light, a pigment in the skin called melanin starts to react and ultimately is responsible for the color of your tan. Once you know the layers of the skin and the effects of UV light on the skin, you can help guests understand the tanning process – and help guide expectations about how quickly they’ll start to see results and how long those results may last. Explain the components of human skin. Name the three skin layers. Describe how the skin cells respond to UV light. Explain why a suntan fades. Apply the Guest Experience Principle: Guiding Guest Expectations. Master the essentials of Skin Typing using a skin outline to determine an exposure schedule as recommended by the tanning system manufacturer to promote responsible tanning. Tanning works differently for different skin types. To promote responsible tanning and avoid overexposure, it is critical to assess the skin’s capability to tan in order to determine the proper initial session and subsequent exposure schedule. Learn about Skin Typing – a process to help tanning professionals select appropriate exposure schedules for each tanning system based on individual skin type. Explain how to determine Skin Types. Explain sequential exposures and maximum exposure times. Cite common terminology used to determine exposure schedules. Apply the Guest Experience Principle: ING the Thing. Uncover your guest’s real tanning potential. Use advanced pre-screening skills and tools to protect your guests, as well as your tanning salon. Pre-screening for potentially limiting procedures will protect your guests as well as your tanning salon from certain liability. Learn how some foods, prescription and over-the-counter drugs may increase sensitivity to UV rays. Individuals with increased sensitivity, called photosensitivity, are at risk for reactions that may include hives, rashes, and possibly serious overexposure. Explain the potential effects of photosensitizing agents on tanning. Cite examples of photosensitizing agents. Record guest acknowledgment of potentially limiting procedures. Access the FDA warning statement. Apply the Guest Experience Principle: Moment of Truth. 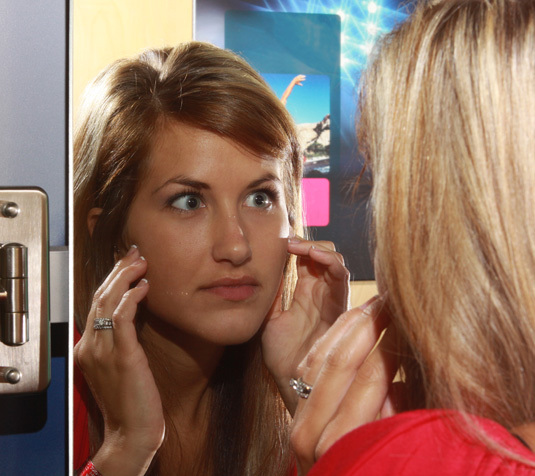 In a tanning salon, eye care is not an option – it’s a non-negotiable requirement. Get the facts to educate guests on the vital importance of wearing FDA compliant eye protection. It’s a fact: Your skin can tan – your eyes cannot. Learn why it’s absolutely necessary for indoor tanners to wear special eye protection whenever they tan at the salon. Without FDA compliant protective eyewear, tanners risk serious short-term and long-term injury to their eyes. Tanners can reduce this risk by using the compliant eyewear you provide in your facility, or purchasing their own eyewear meeting federal standards for indoor usage. Explain why FDA compliant eyewear is required when tanning. Explain key eye care requirements. Demonstrate how to prevent eye damage when tanning. Understand that unprotected exposure can result in cumulative eye damage. Follow industry best practices for eye protection. Apply the Guest Experience Principle: Convert Guest Sacrifice into Guest Surprise. Adopt a telephone communication style that anticipates and satisfies the needs and expectations of your guests while building rapport, synergy and two-way trust. Guests can usually form a judgment through one interaction with one individual. Dissatisfaction from guests can come from the neglect they feel if they’ve received a poor product or service, or if the treatment they receive during a telephone interaction is poor. Identify a telephone caller based on the Three Guest Types. Prepare a script to answer calls from each of the Three Guest Types. Discuss the 10-Point Guide to Telephone Courtesy. Recall Telephone Dos and Don’ts and Phrases that Drive Guests Away. Apple the Guest Experience Principle: Eliminate Negative Impressions. If you have a personal grudge against dirt and germs, you’re going to love this Sun is Life module. If not, A Little Dirty Talk will do you a lot of good, anyway. A clean and inviting guest environment is important to the success of any retail business. But in the tanning profession, it’s absolutely critical. Drop the ball on cleaning and sanitation – even just once – and you may lose a guest forever. This module provides the info necessary to properly clean and sanitize (yes, there is a difference) key salon areas to reassure even the most fussy and particular guest. And in rare cases, when a cleanliness issue arises, you’ll know how to recover from this serious service breakdown. Cite the 11 areas in the tanning room that need to be sanitized after each session. Discuss the nightly and weekly cleaning and sanitation schedules. Prepare the appropriate cleaners and sanitizers for different needs. Explain steps to disinfect re-usable eyewear to EPA requirements. Apply the Guest Experience Principle: Recovering from Service Breakdowns.